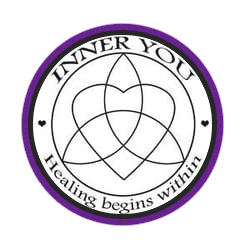 Our mission is to raise awareness of one’s True Divine Nature and bring balance and healing to the Mind, Body, and Spirit. We’ve created a space for one to heal emotionally, mentally, physically and aesthetically. It’s all about the Divine in You! Support the natural healing systems of the heart, mind, body, and Soul by using methods and techniques that are in harmony with the body’s natural ability to heal. Viewing the body as a whole in its physical and spiritual dimensions. Power of Nature Trust in the body’s natural process to heal itself. Discomfort, discord, and dis-ease has an underlying cause. Often caused by aspects of one’s lifestyle, diet, habits and thought processes. Through intuition, education and compassion we are able to guide you on the journey to healing and empower you to maintain a healthy lifestyle. Creating balance to live in Divine Happiness, Health, and Well Being. CANCELLATION POLICY-Please understand that when you don’t show-up or cancel your appointment without giving enough notice, we miss the opportunity to fill that appointment time and other clients miss the opportunity to receive services. Since the services are reserved for you personally and you miss your appointment or fail to give us 48 hours notice you will be required to pay 50% of your service total. All cancellations within 24 hours and all no shows will be charged 100%. We value our business and we value those we serve.